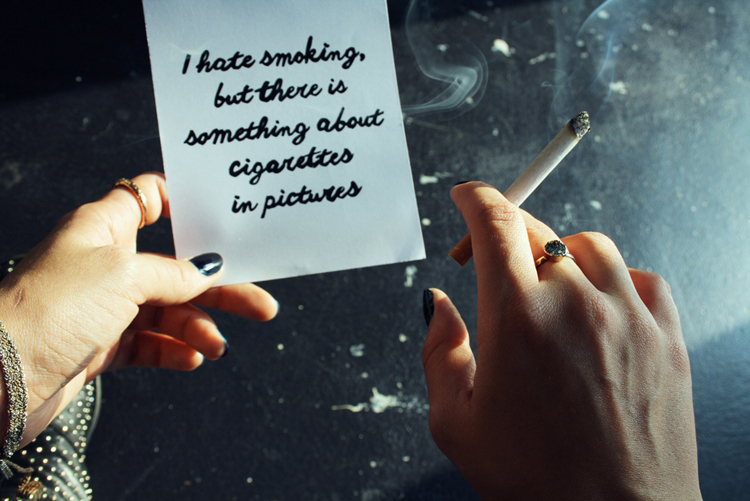 I hate smoking, but there is something about cigarettes in pictures. Not your fat neighbour with his gut hanging over his pants, but think Audrey Hepburn in Breakfast at Tiffany’s or James Dean in Rebel Without a Cause. Posted in JewelryTagged Cigarette, Smoking, smokingkillsBookmark the permalink.